This is my post from last year on this day. I will be posting more tomorrow and Saturday and then will take a few days off to enjoy the Easter vacation we have planned. In honor of these three sacred days ~ the Triduum ~ I will not be posting anything new. Instead, I wanted to share a few photos for silent meditation on the historical events being commemorated. 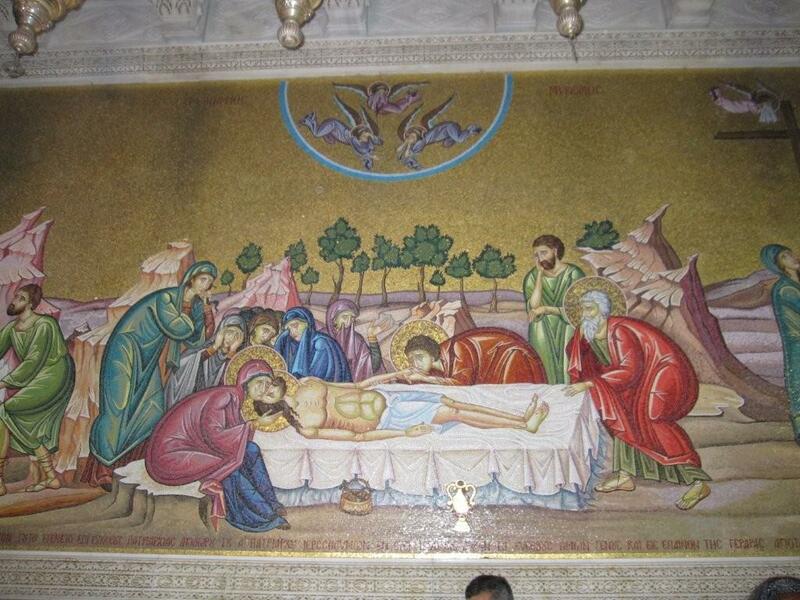 Again I owe all the photos to my sister who visited Jerusalem and took these images at The Church of the Holy Sepulchre. 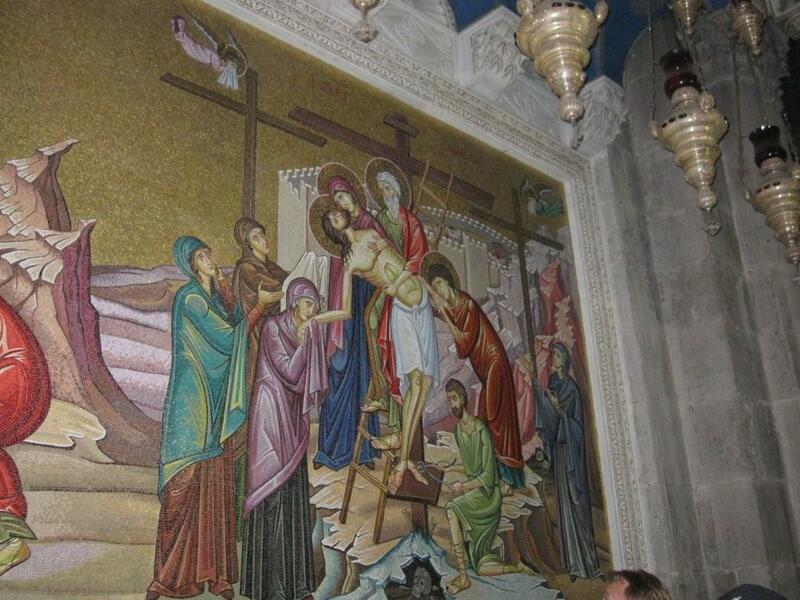 Christ is crucified. Known as the Latin Calvary. 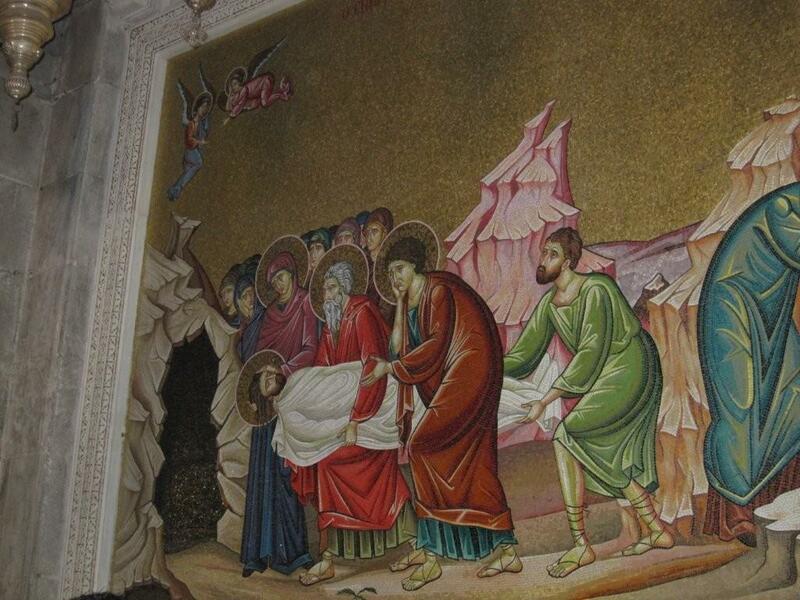 Christ is taken off the cross. Christ is anointed and prepared for burial. Christ is placed in the tomb. 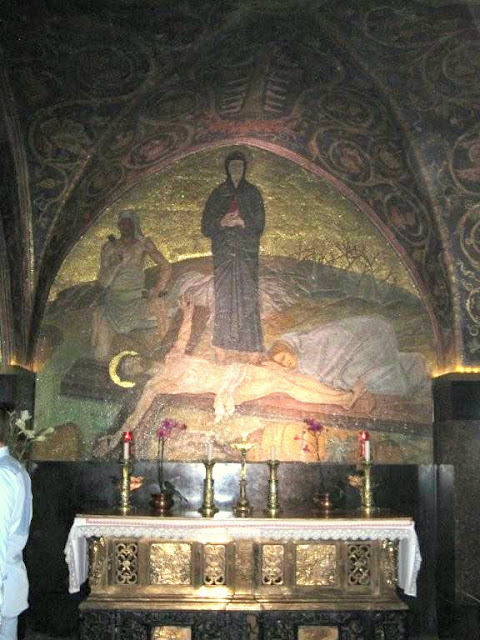 Venerated location of Christ's crucifixion. 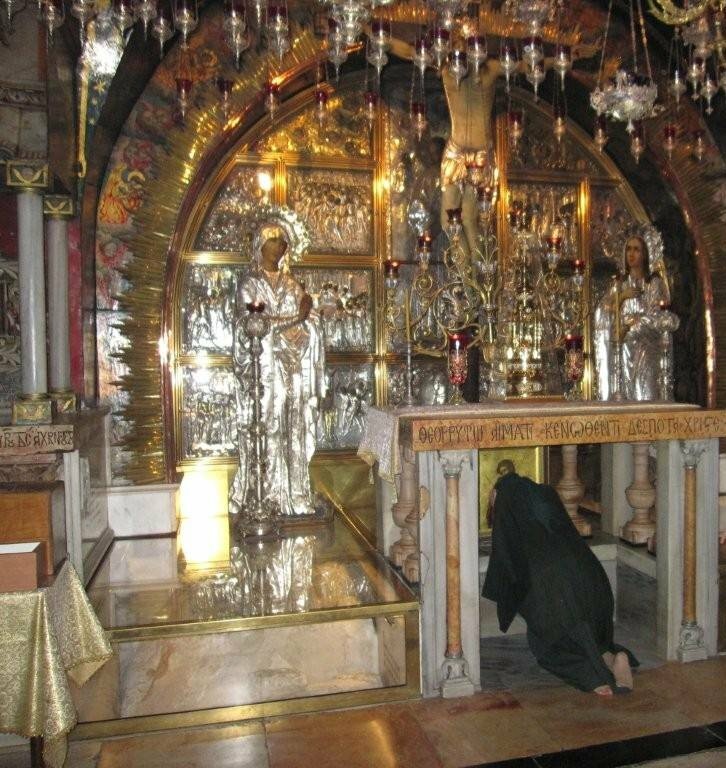 People kneel inside the altar to touch the stone below. 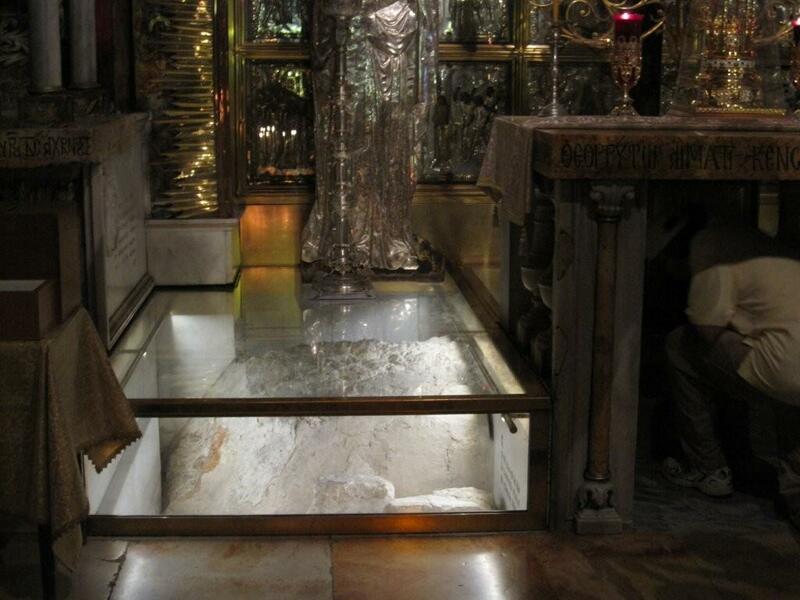 The rock believed to be the site of the crucifixion. Wow. Thank you. Have a Blessed Easter. Cool! Thanks for posting this. It must be so amazing to go to the actual place and see the actual rock where Jesus was crucified.